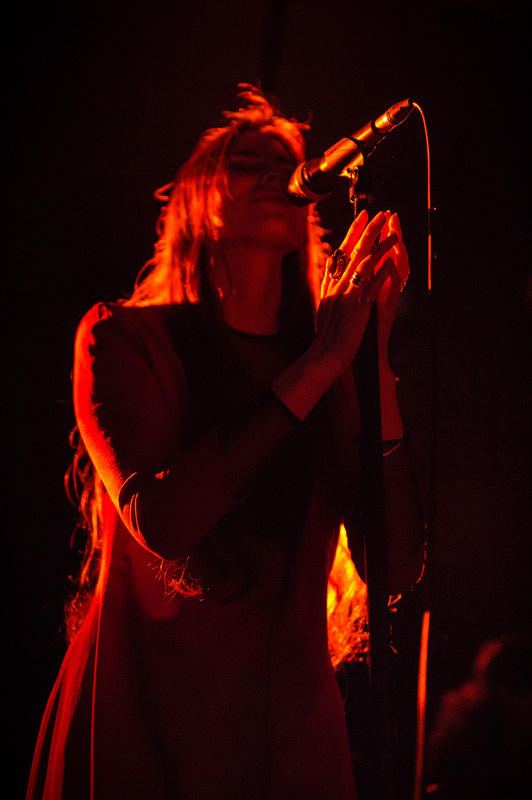 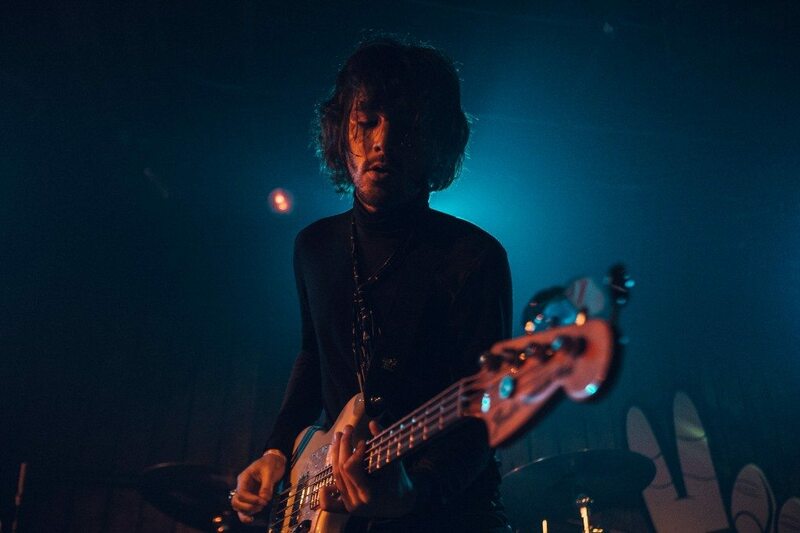 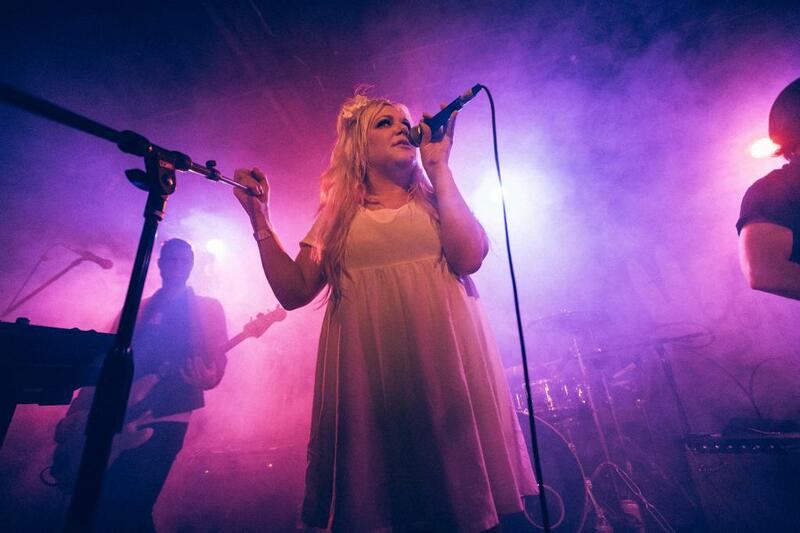 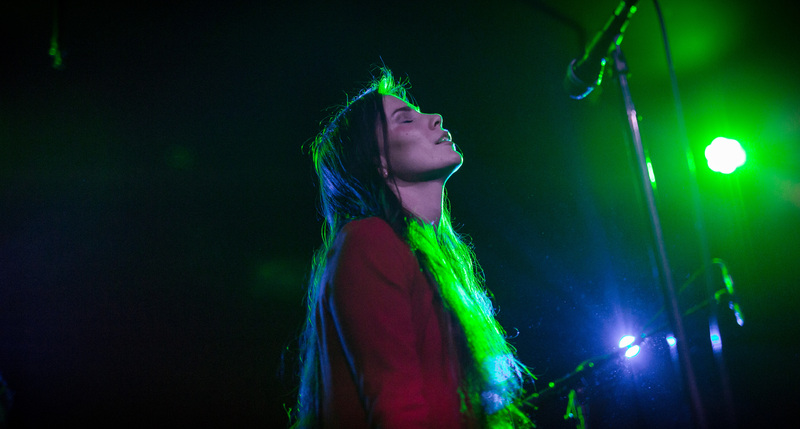 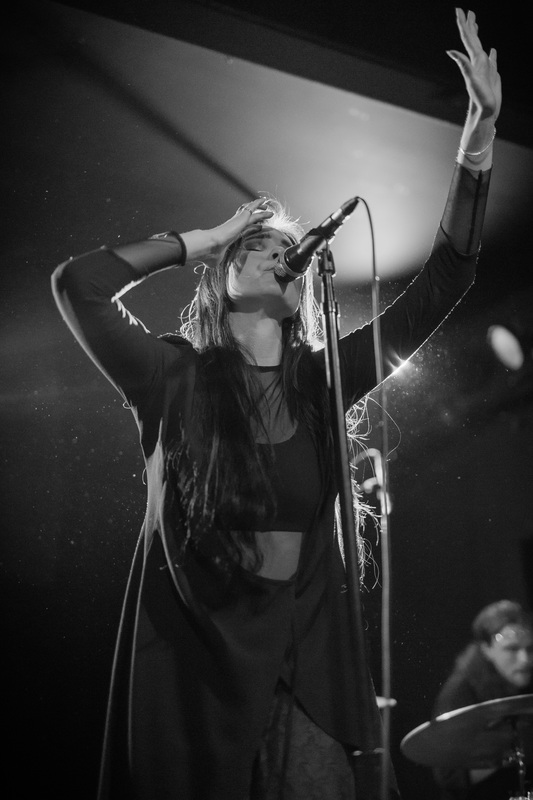 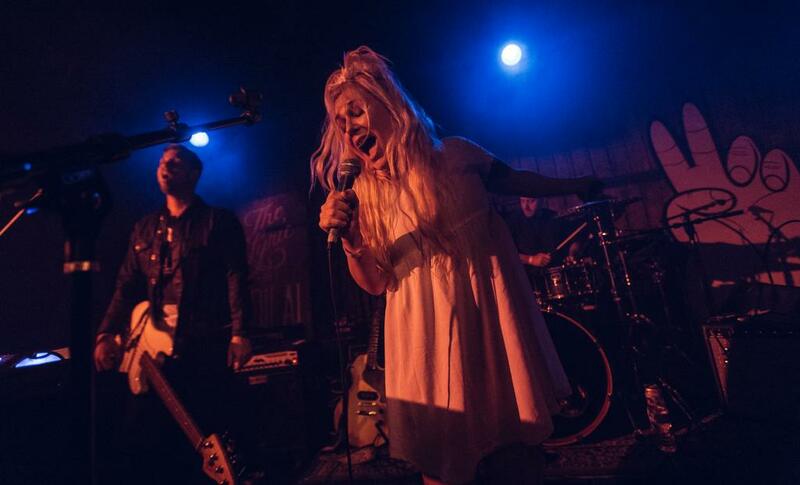 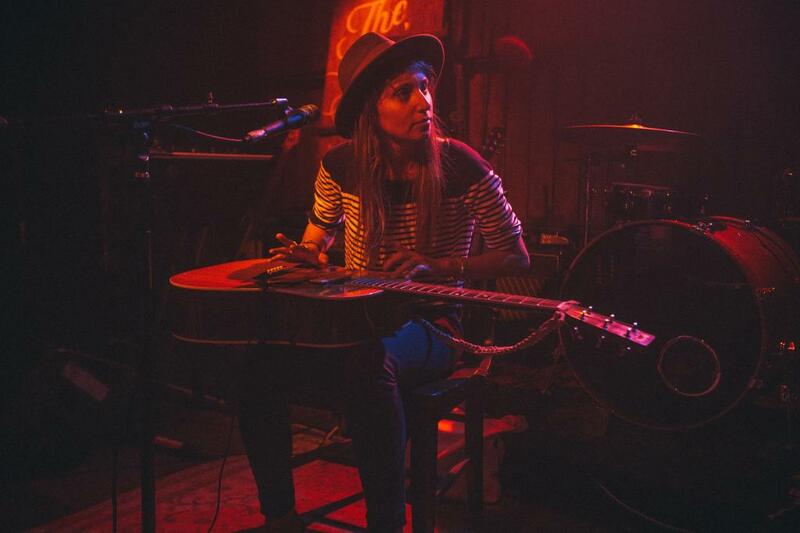 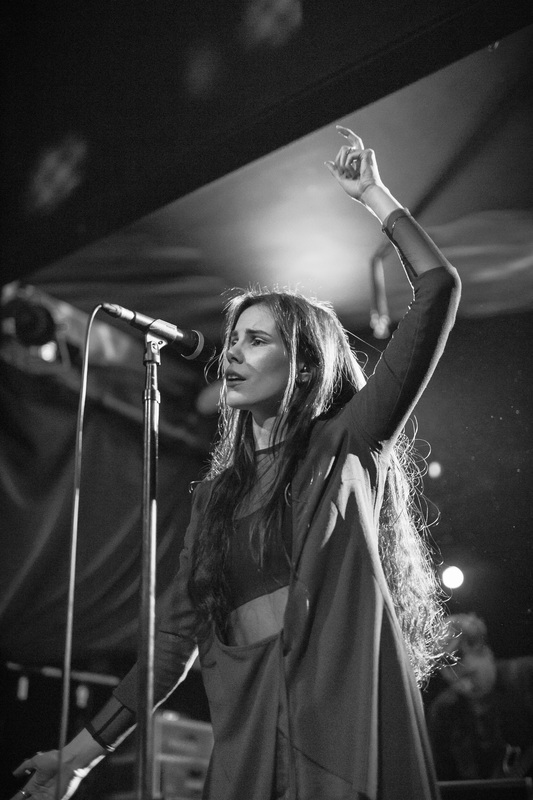 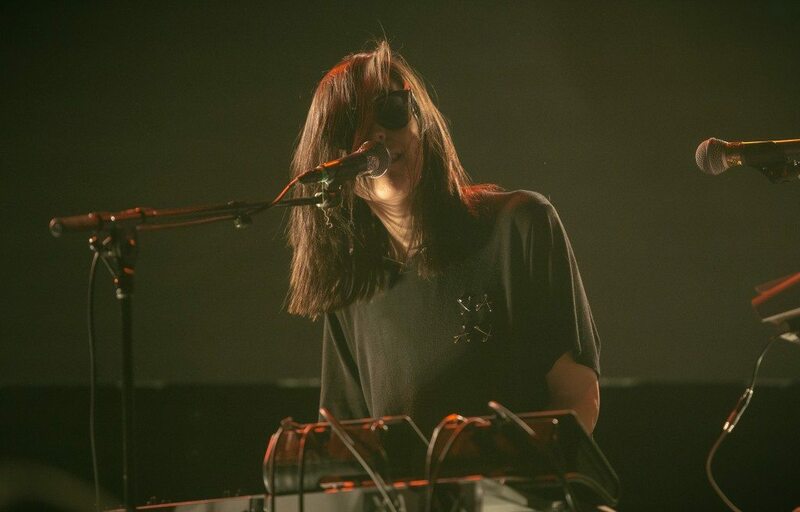 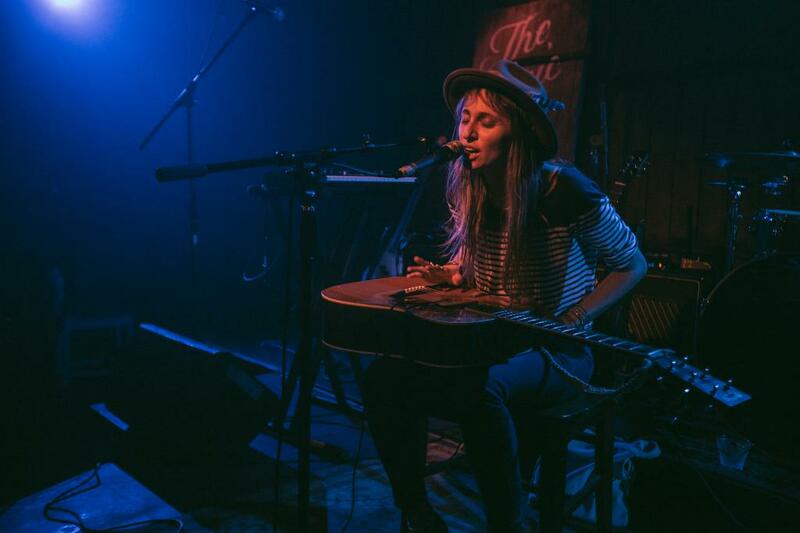 B3’s Russ Ramos was on hand for B3SCI Records alum SKOTT’s Tuesday show at the Echo in Los Angeles and snapped a few rad photographs which are available for your perusal below. 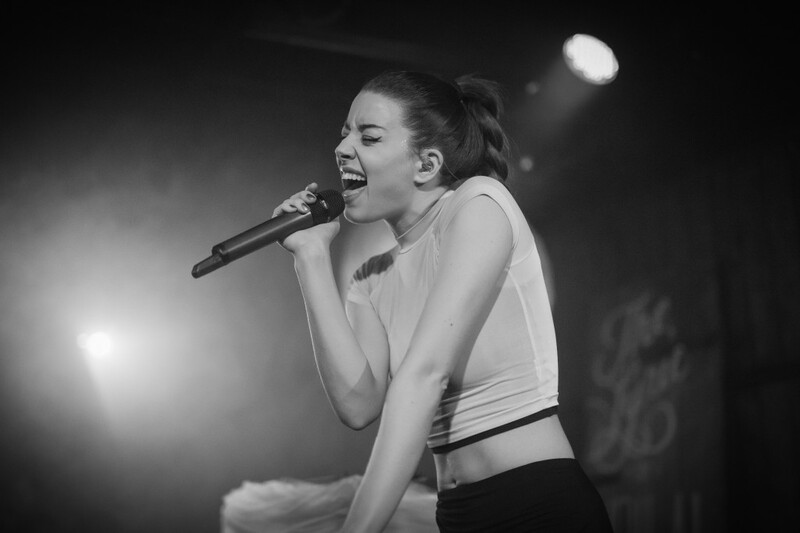 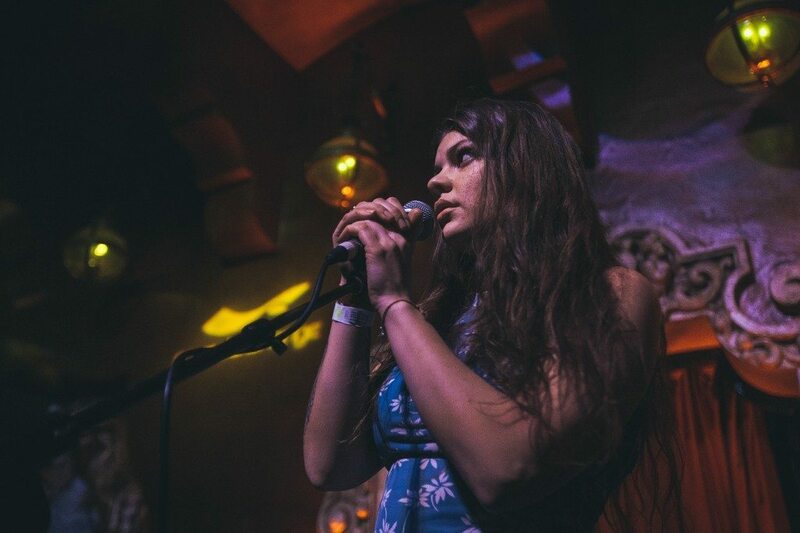 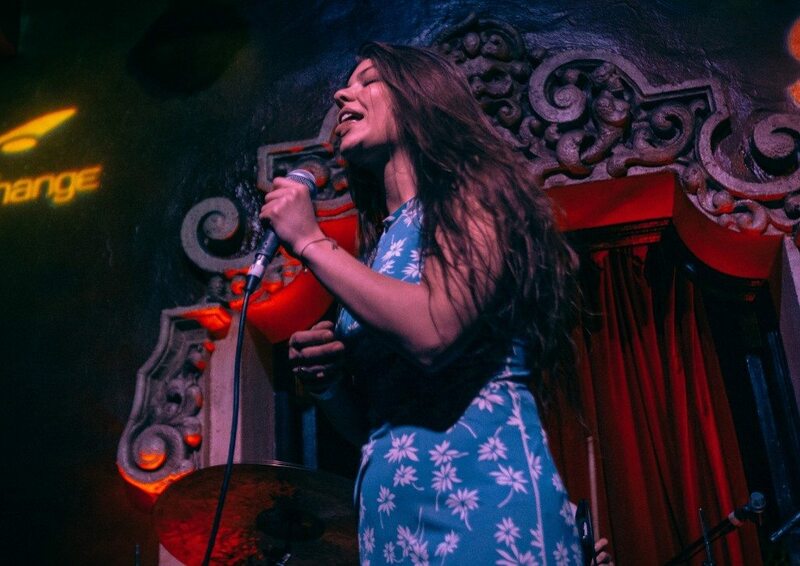 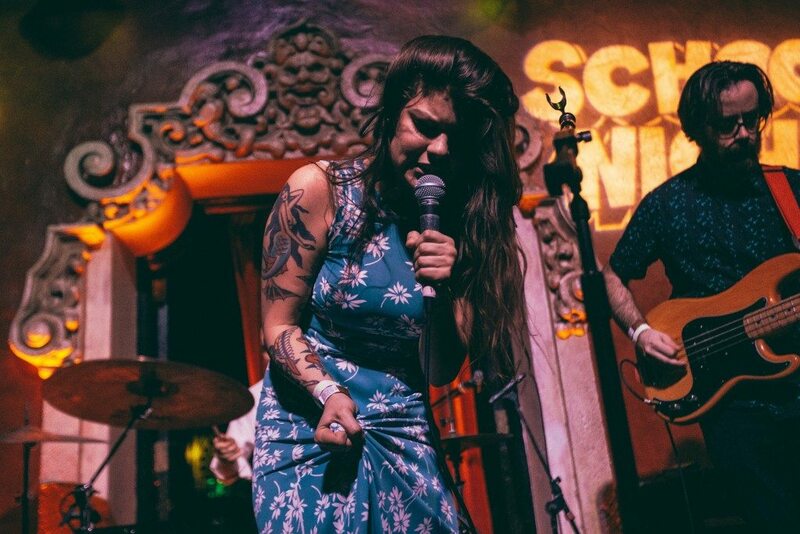 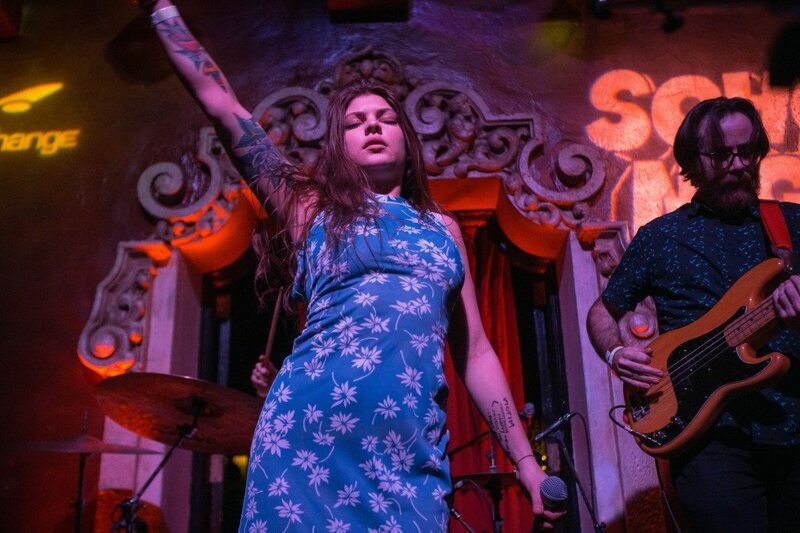 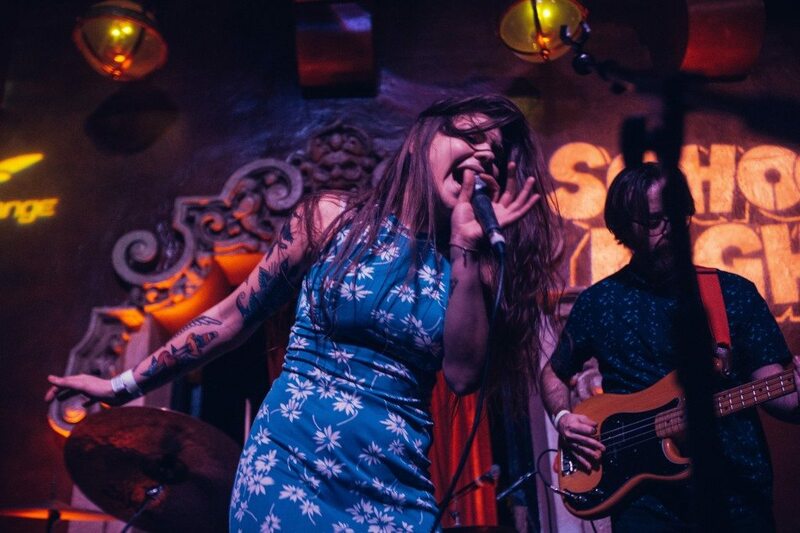 Our man Russ shot last week’s (2/8) rad Donna Missal show at Bardot and picked out a few of his favorite photos from the set which are available for your perusal below. 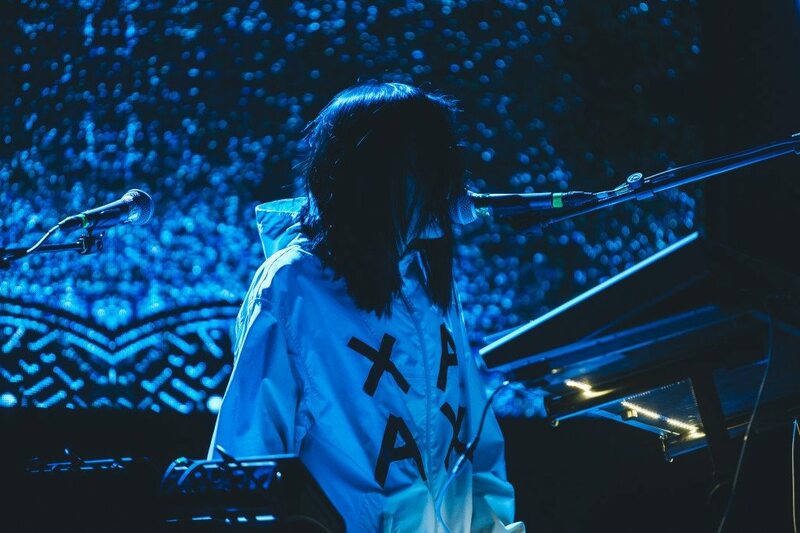 B3’s Russ Ramos got out to Elohim’s Thursday night show at the El Rey in L.A. where she performed an opening set for BAIO. 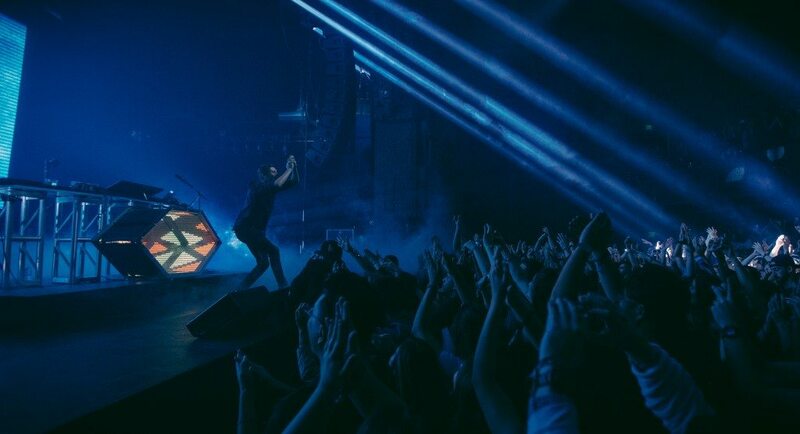 These rad shots capture Russ’s vantage of the gig. 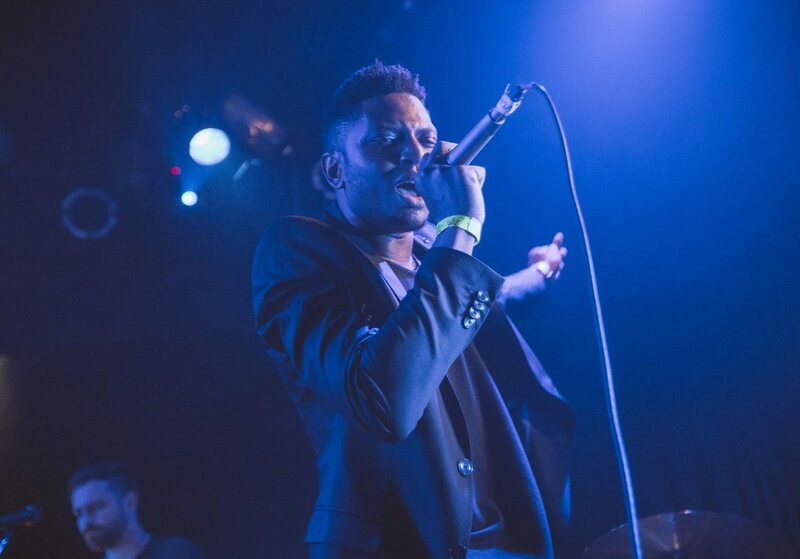 Freshly minted signee to Boysnoize Records, Taskforce brought the beats to start the night off. 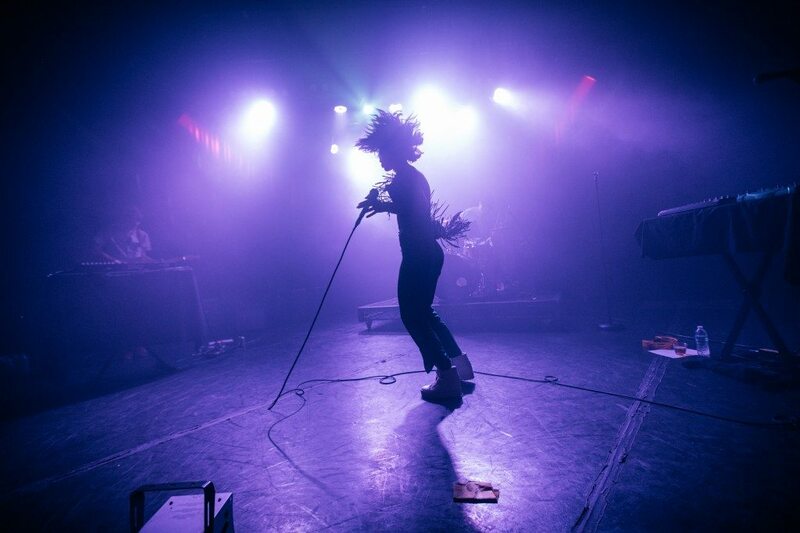 The Minneapolis drum machine wizard conjured the crowd into a dance party highlighted by personal favorite, “Police Brace For Violence”. 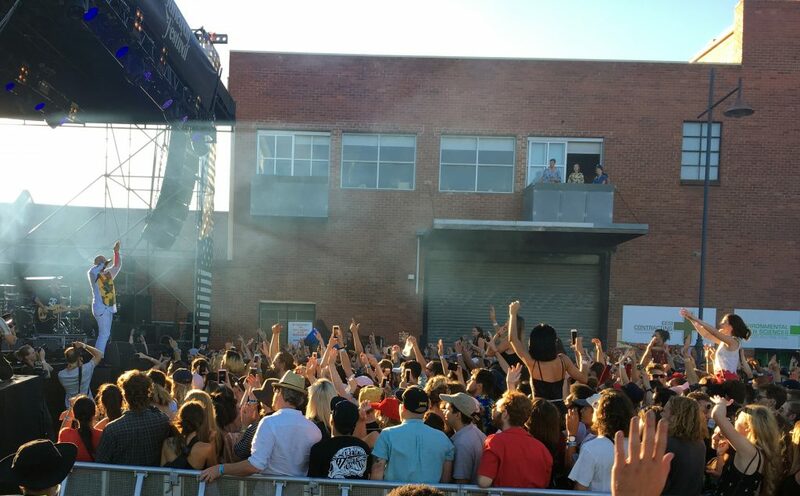 Heading up north, Toronto native, River Tiber, hit the stage next. 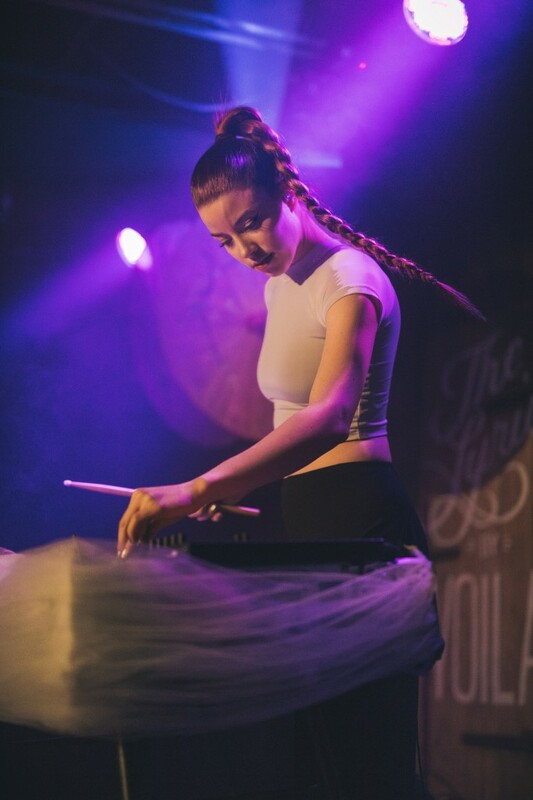 Vibey and chill, this Canadian (liked by BADBADNOTGOOD and Drake) laid an emotional haze out and over the packed Mayan. 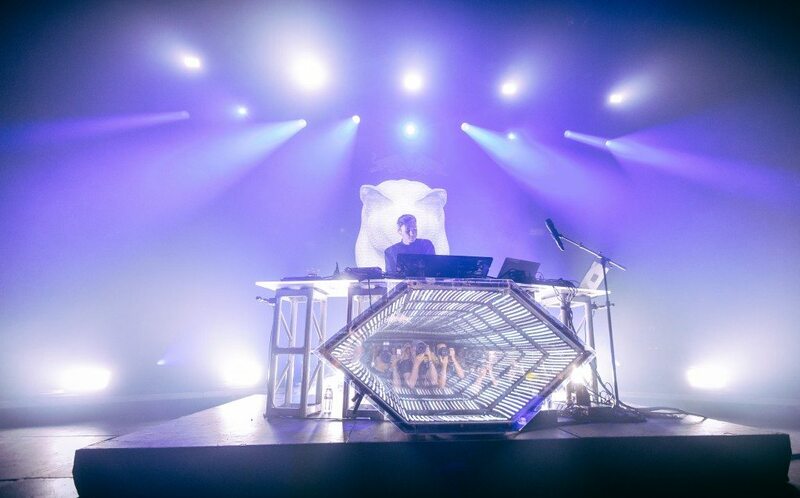 Finally, Aussie DJ/producer Flume (Harley Streten) who is no stranger to B3SCI or myself (seeing him 4 times now). 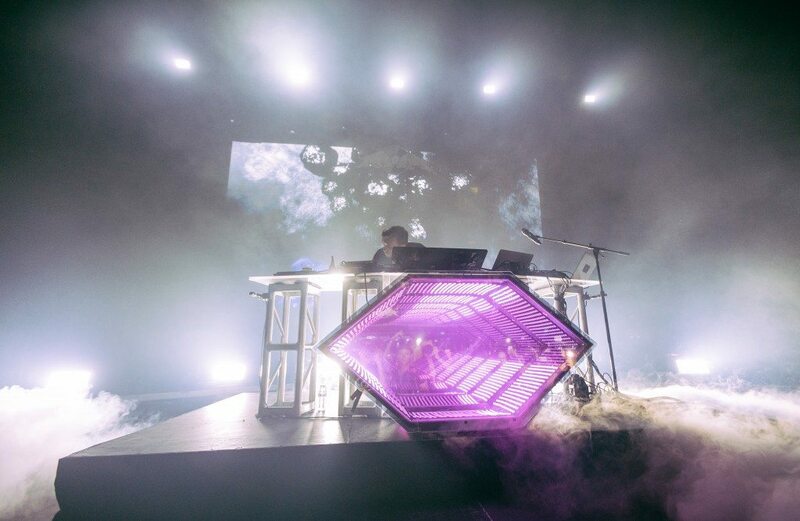 Flume’s 2013 self-titled LP was outstanding and considered widely one of that year’s best. 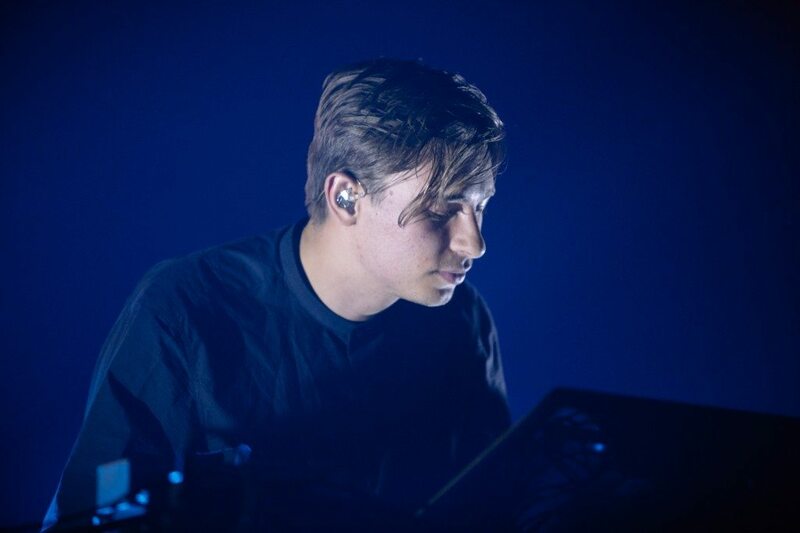 For the set, Flume played all the hits, some new stuff and a delivered a very special guest; bringing out Andrew Wyatt (of Miike Snow) for an incredible performance of new single “Some Minds”. 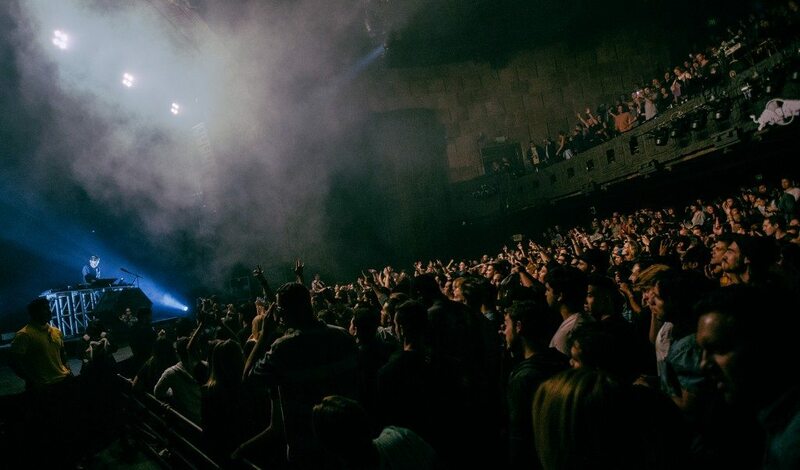 Flume always brings it (light show, mix, overall production). 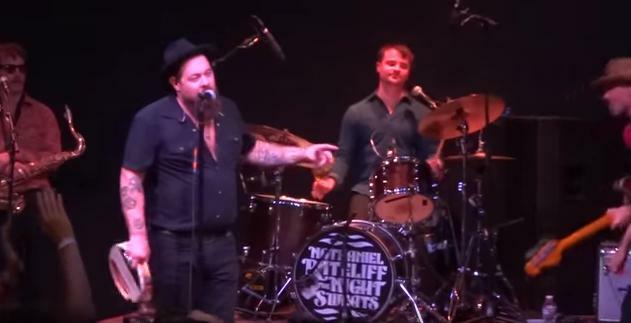 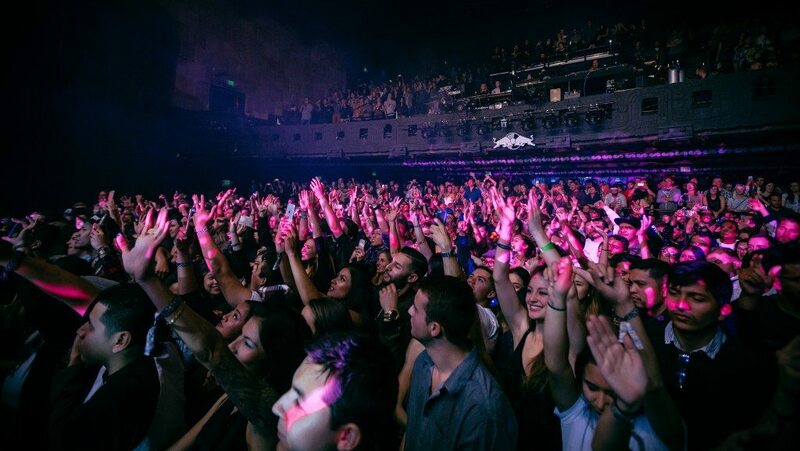 It was one giant party in DTLA. 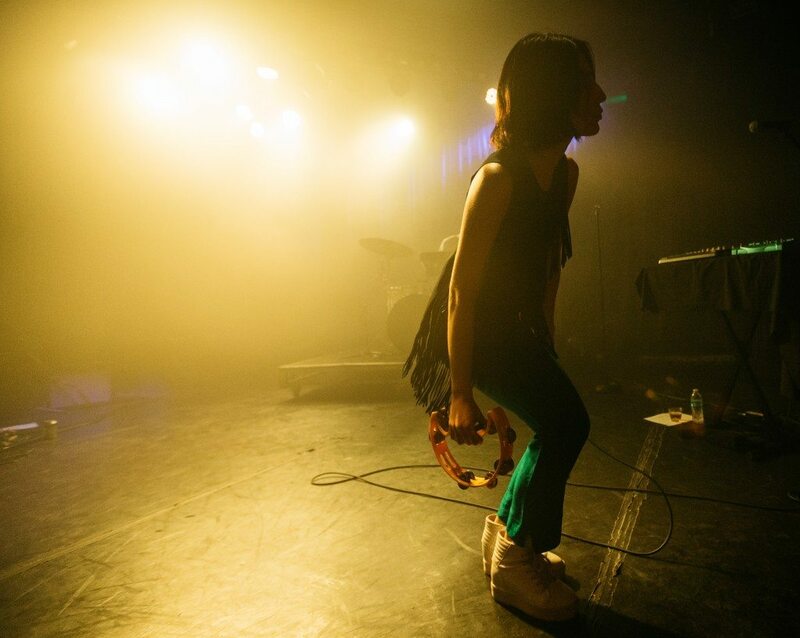 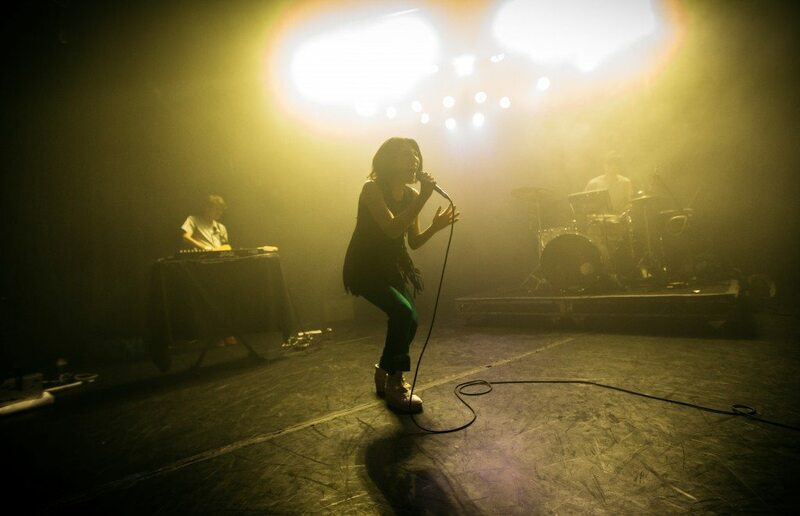 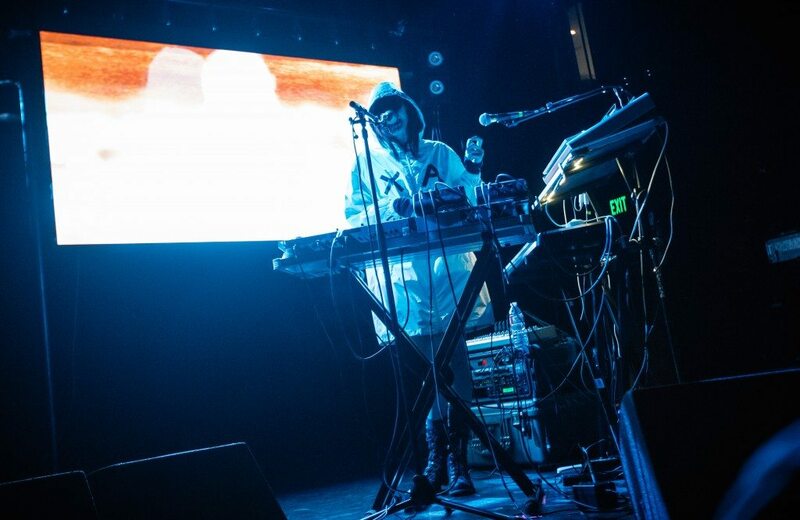 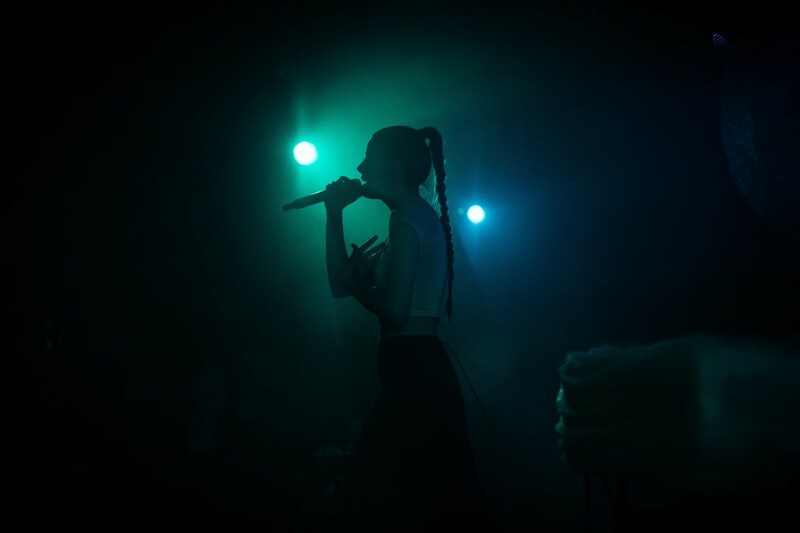 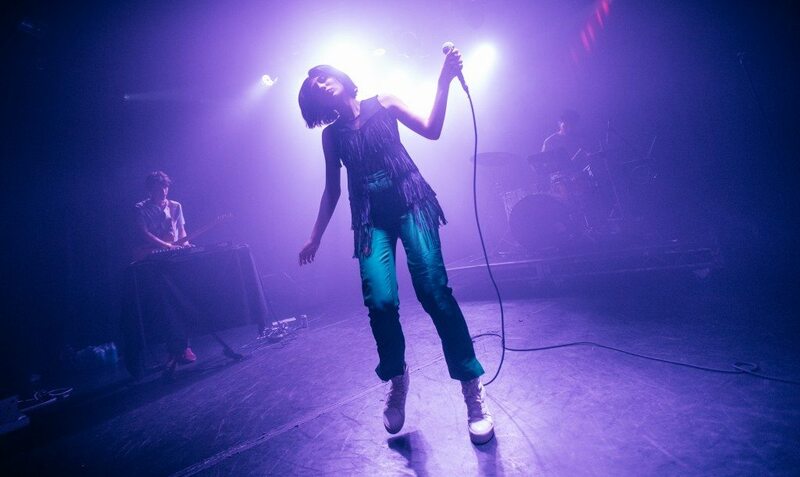 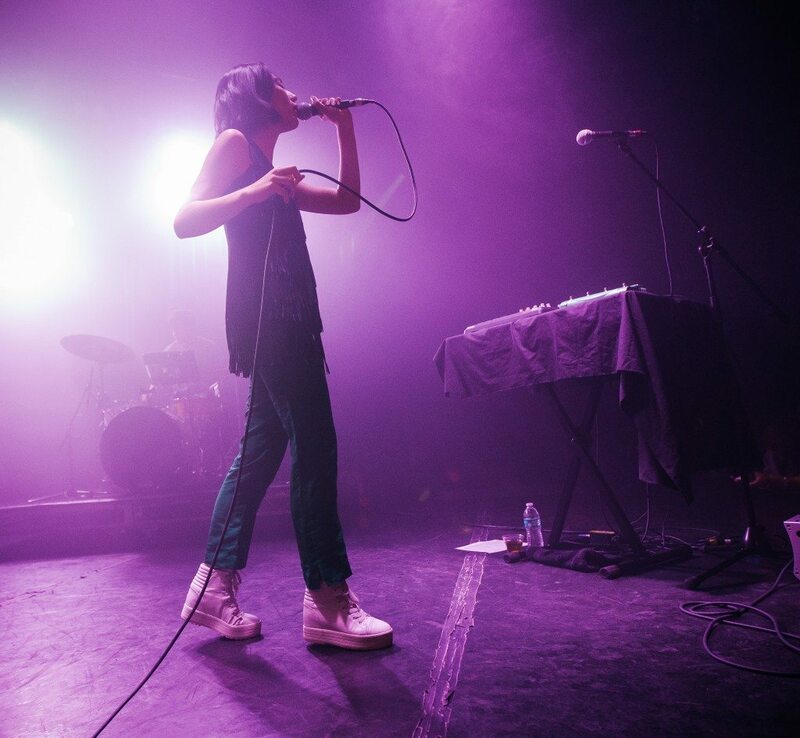 B3’s Russ Ramos caught Friday’s Tei Shi at the Roxy in West Hollywood and snapped a few rad photographs of the set which are available for your perusal below. 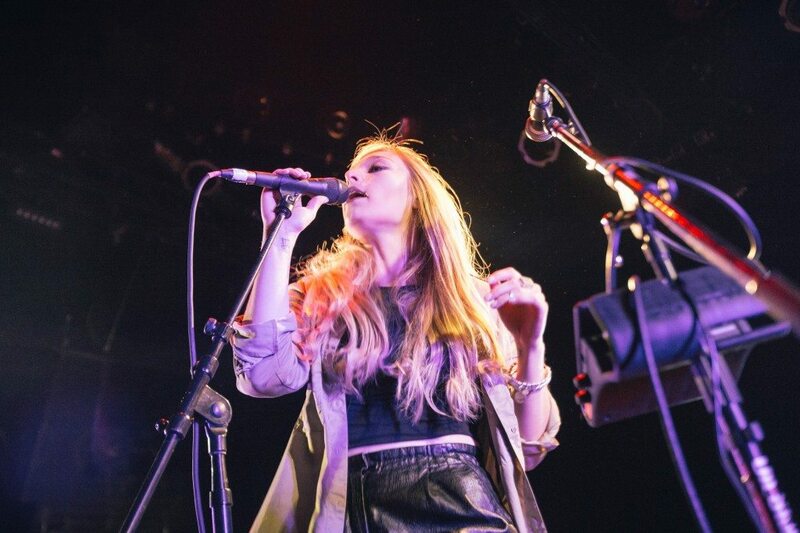 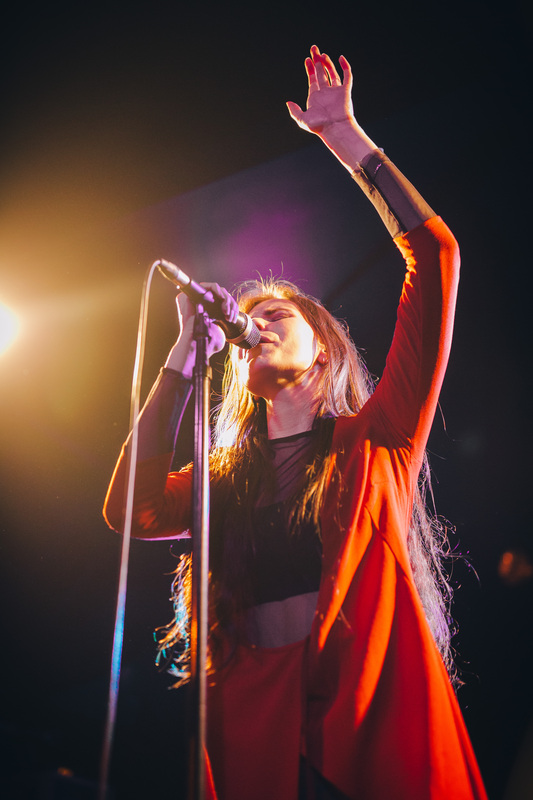 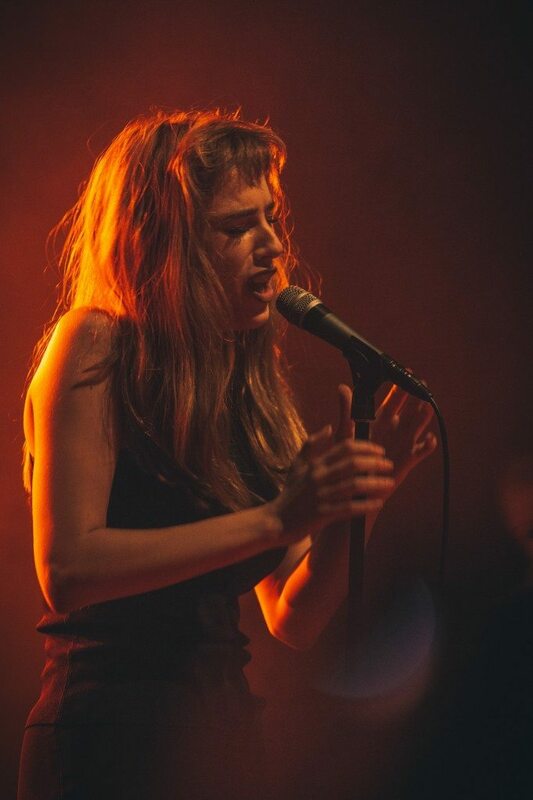 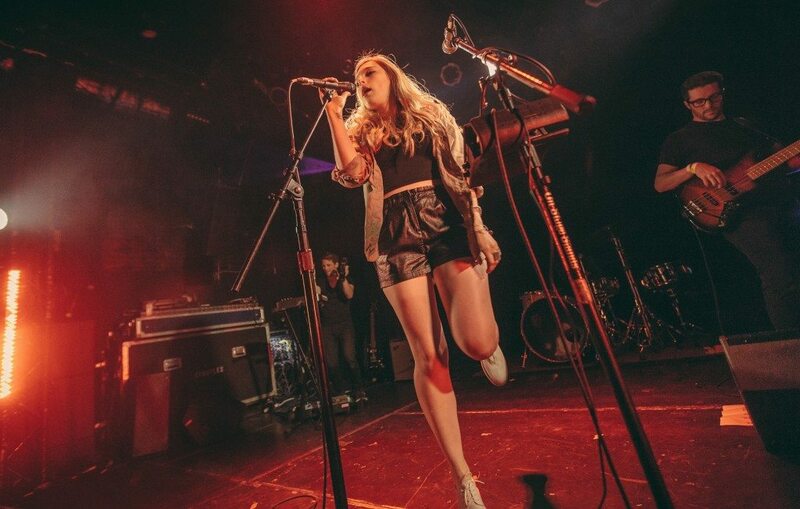 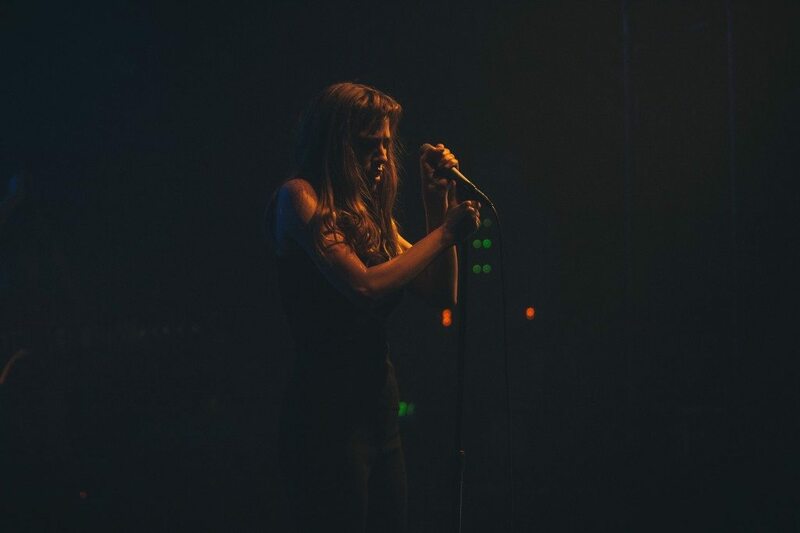 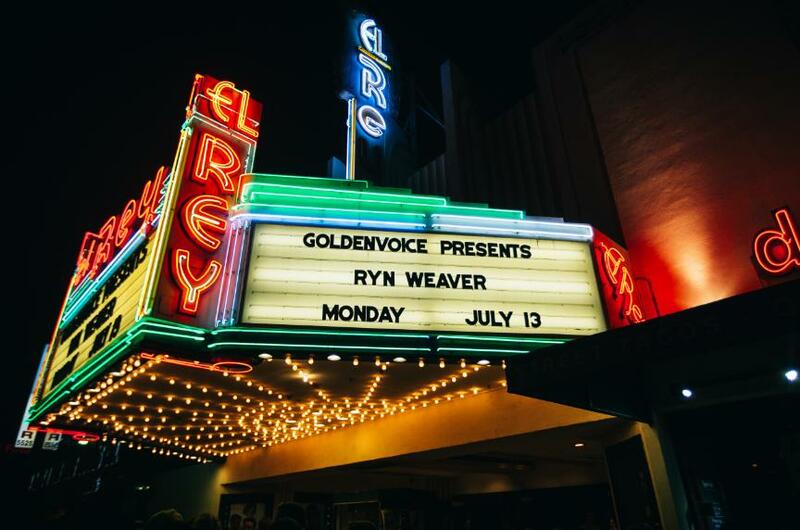 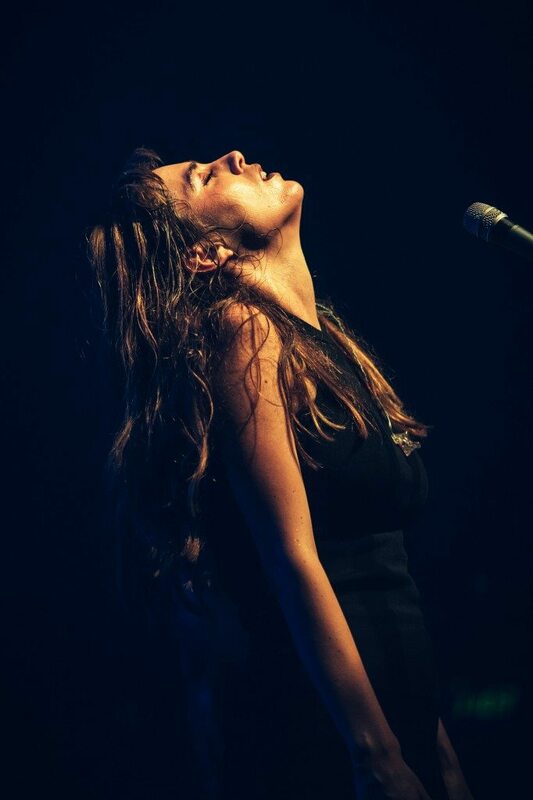 Our man in L.A. Russ took a sharp set of photos of last night’s Ryn Weaver show at the El Rey in L.A. that are available NOW for your perusing pleasure. 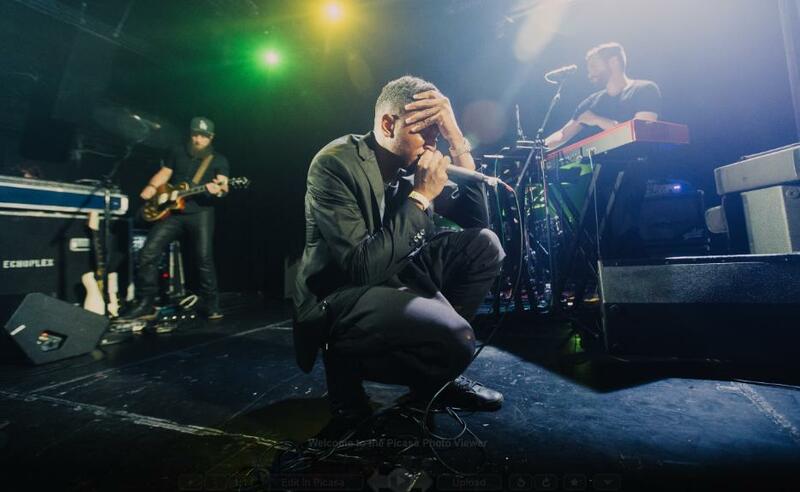 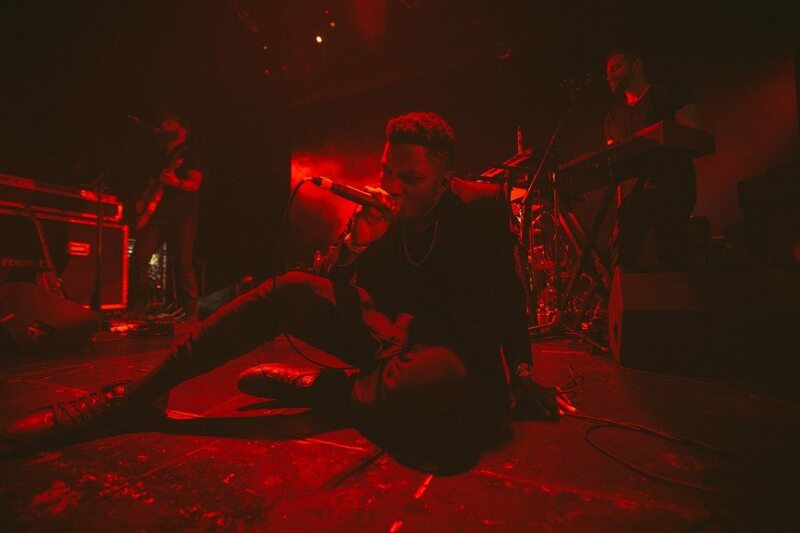 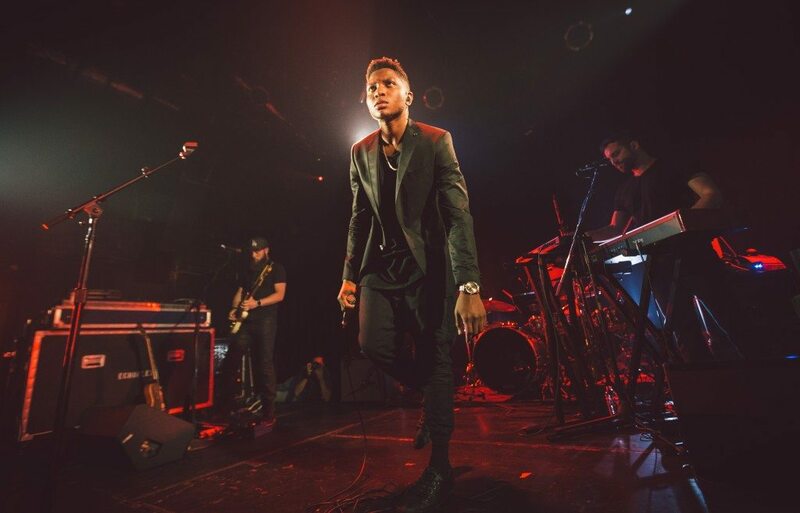 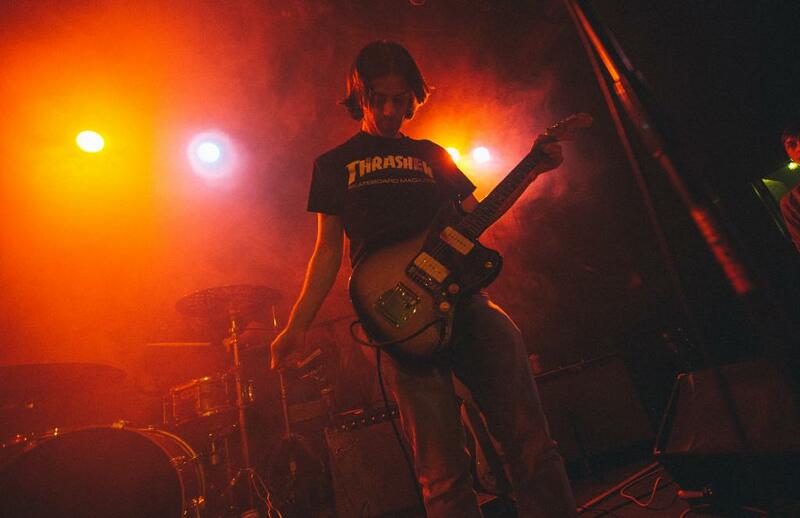 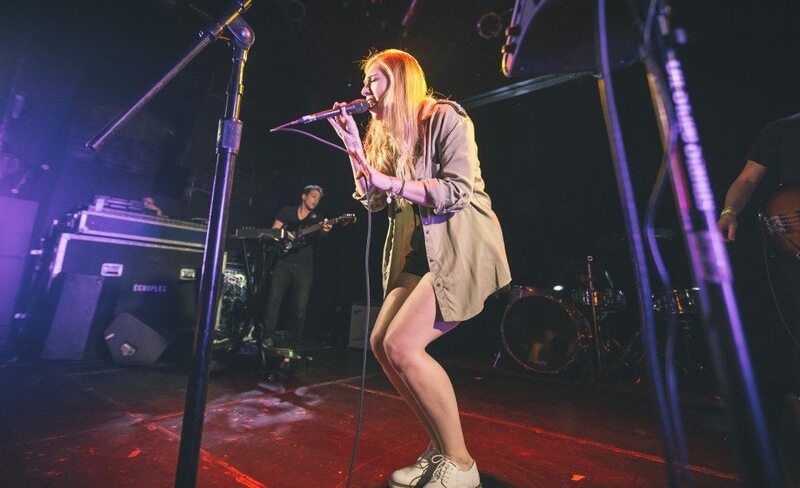 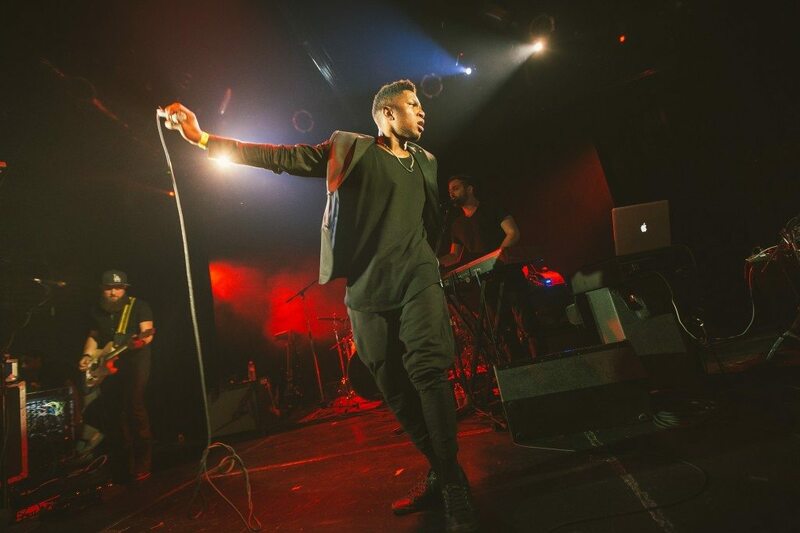 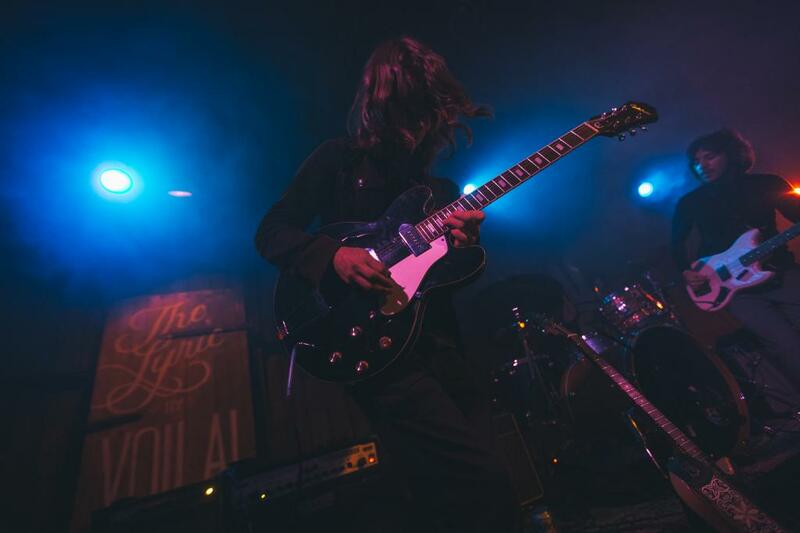 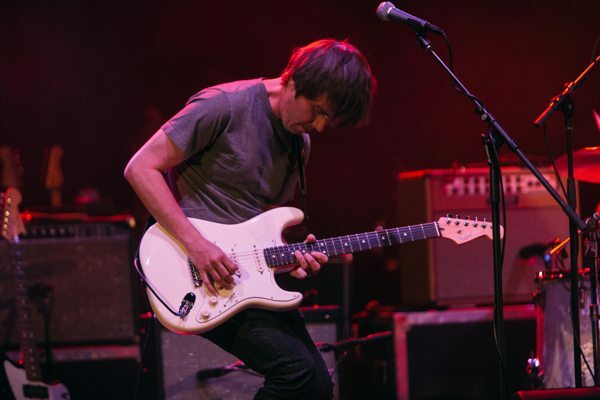 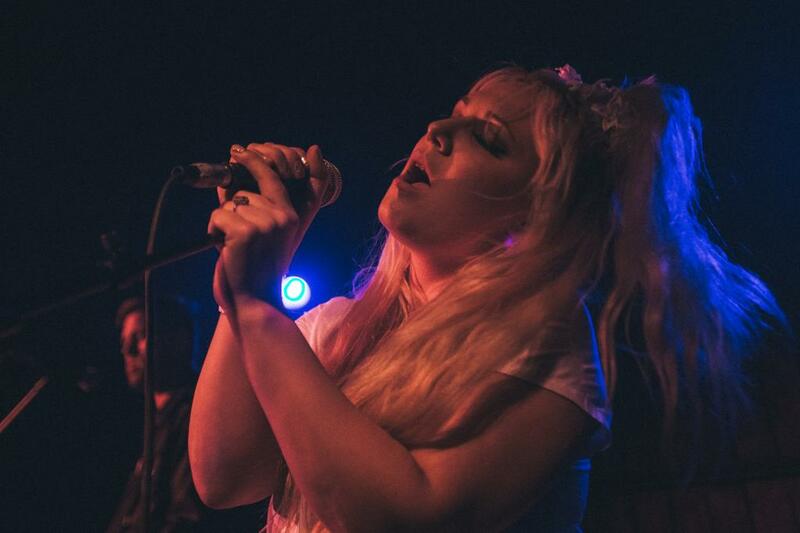 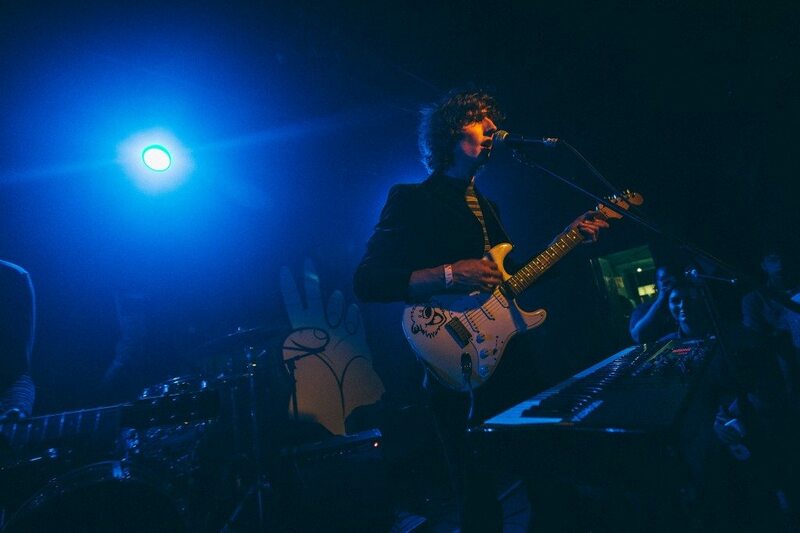 B3’s Russ Ramos was on had at the Echo on Thursday to catch live a pair quickly rising indie stars, Mind of a Genius innovative R&B man Gallant and pop charts force in waiting Verite. 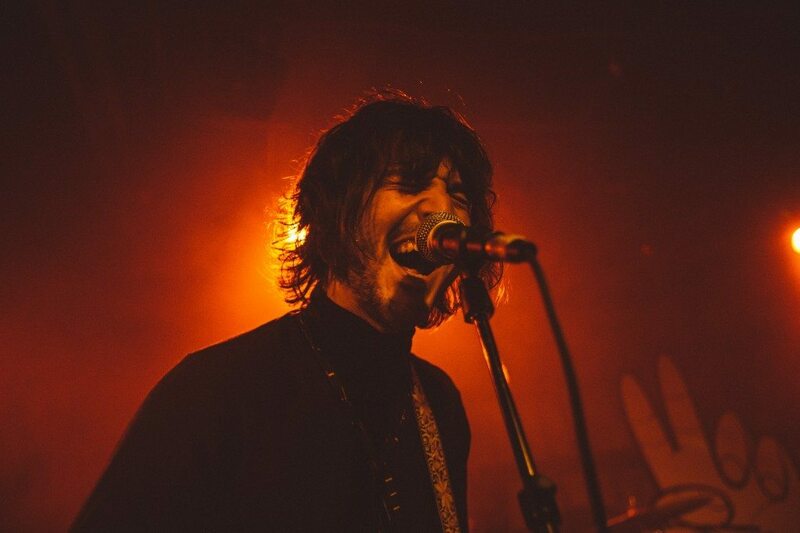 Sample Russ’s excellent set of photos below. 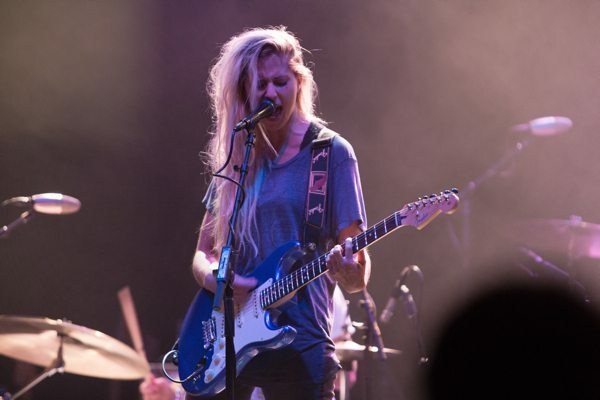 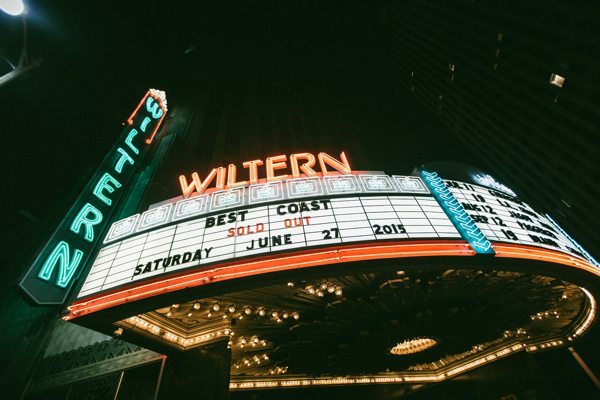 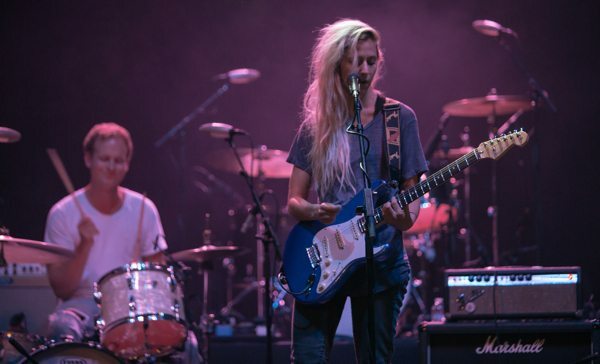 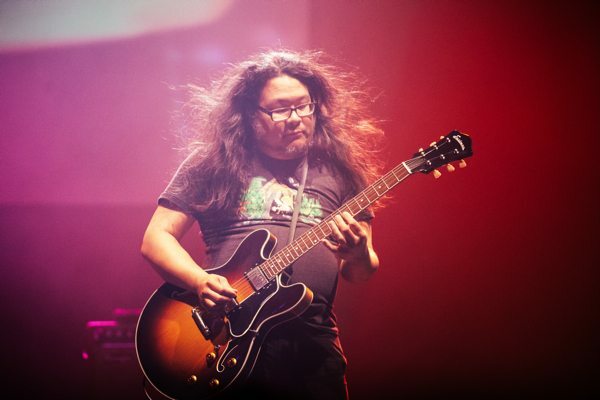 B3SCI’s Russ Ramos recently had the chance to photograph Best Coast and Bully performing at the Wiltern Theater in L.A. Here’s some exclusive shots from the show below. 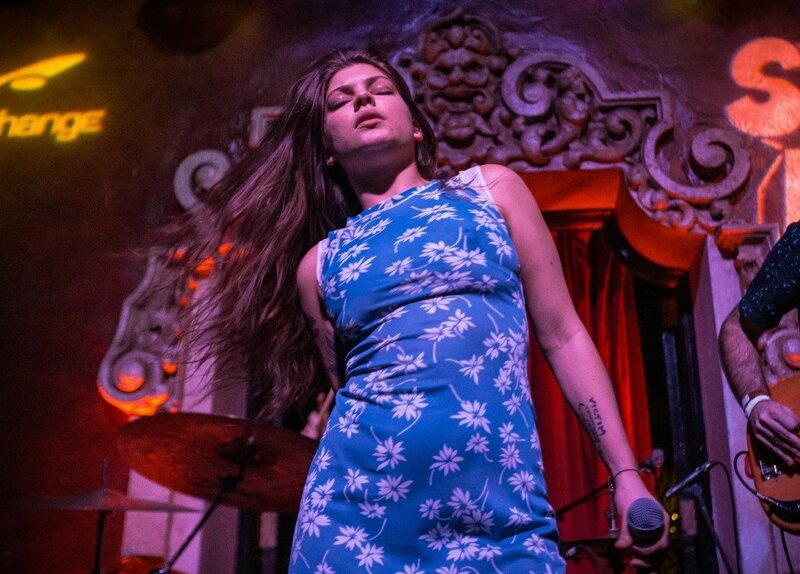 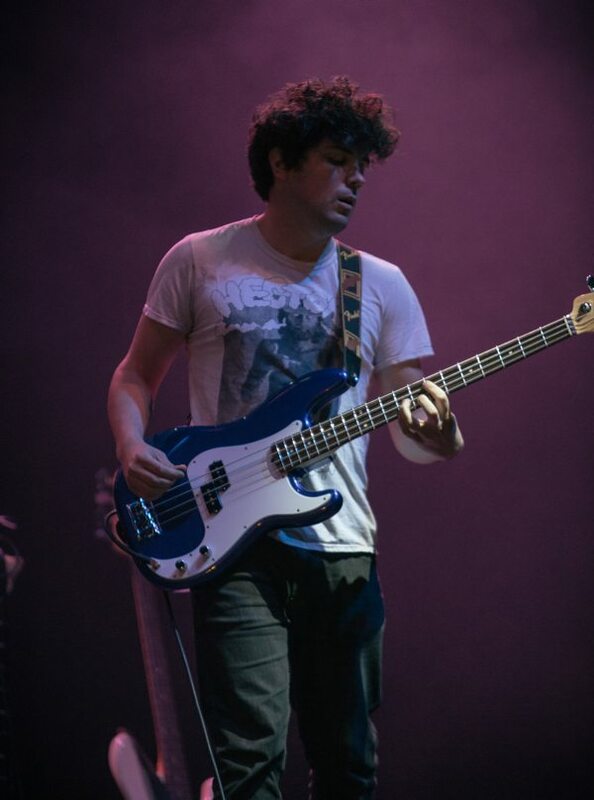 B3SCI’s Man in Los Angeles Russ Ramos caught Monday’s Lyric Theater show featuring L.A. via DMV band MISUN, UK upstarts Hidden Charms and Miami-bred songwriter Rachel Goodrich. 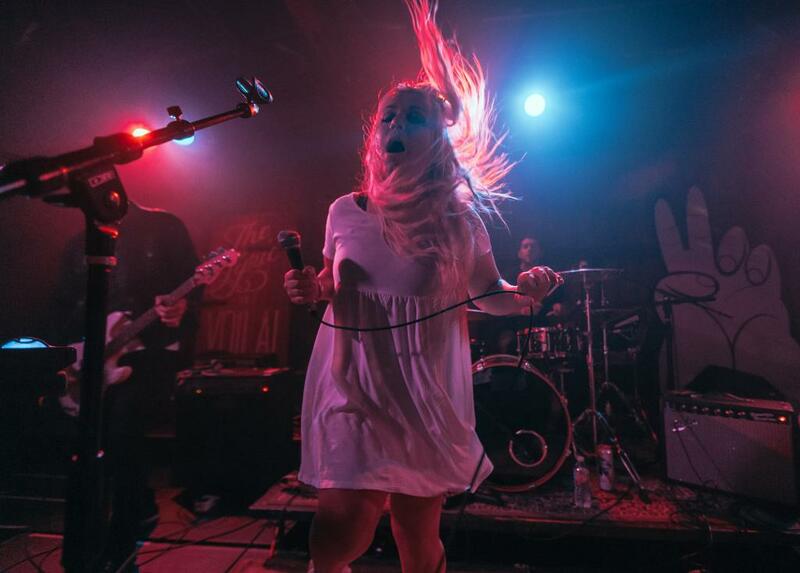 Peep the rad photo set below.